Here's what has been said so far..
City's Ruchira Kedar was offered a record deal by British talent scout Julia Adamson, who heard her on MySpace. A Place in Space is a world music compilation with each track from a different country. She is the only Indian on it. In April 2008, Ruchira Kedar (nee Kale) got an email about her MySpace profile. Julia Adamson from Invisiblegirl Records, sent her an email saying she had a concept in mind about a world music compilation album and was looking for an artiste from India. 'Julia said she heard my track off MySpace and wanted me to be the Indian representative for her compilation. I was surprised. I asked around and found that Invisiblegirl Records was an established name. And after a while, accepted the project,' Ruchira said. Julia Adamson then sent Ruchira an agreement by email and Ruchira sent her a CD with three tracks on it, via snail mail. The CD had one complete raag, a 20-minute piece and a 10 minute piece. 'She chose the 20-minute piece - Maan Na Kariye - for the CD and edited it down to 4 minutes so that it could fit in with the other tracks. She is planning to release the full version for downloads - a lot of people have been enquiring about it,' says Ruchira. 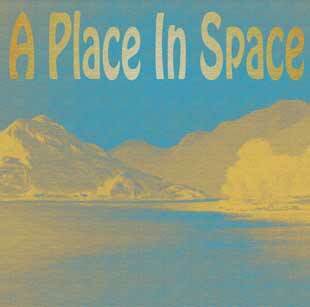 'A Place in Space' is the name of the album which has 14 tracks travelling from Portugal, Uruguay, Japan and France. The CD was launched on December 21, 2008 ~ the solistice (shortest day) or longest day in the southern hemisphere, the iTunes release happened a couple of days later. Who says nobody gets discovered on MySpace? As 14 unsigned bands recently discovered, scouts do occasionally troll the site to find new acts, since having a MySpace page is near-mandatory for bands of all shapes and sizes. Julia Adamson, a former multi-instrumentalist and vocalist for the legendary band The Fall who runs Invisible Girl Records, recently released the A Place In Space compilation featuring artists from around the world, all of whom Adamson discovered on MySpace explorations ~ sort of like finding 14 needles in a ten-million-band haystack. "There are hobbyists on there who obviously love writing music and, as with Flickr, a few of the dedicated hobbyists actually come up with more original and better finished work than the professionals," Adamson told Pune Mirror. "There are also artists in other countries who you wouldn't have discovered without the site. "The album's official site has bios, MP3 previews, MySpace links and iTunes links for each band she selected, from countries around the world ~ France, India, Japan, Portugal, Uruguay and other countries. I've been previewing the album, and it's great (I'm no fan of world music for world music's sake, either). These are excellent tracks by artists who will now garner some much-needed publicity after being chosen by Adamson, a veteran with scores of top-notch tracks of her own under her belt. The whole thing is available on iTunes or as MP3s. And of course, the album itself has its own MySpace page where you can preview six songs. There's a lesson in here somewhere for labels. I've heard more than one person say they think the record label of the future will be a tiny operation that discovers artists, the way today's A&R departments do, and then packages bands for a larger audience, which is essentially doing a lot of what managers do today (organize tours, find opportunities, maintain relationships, etc. ), for a percentage of revenue. In return for the artist gets to focus more on making music. Maybe labels could work with hundreds or thousands of these tiny operations, providing small, interest-free advances for tours and albums when needed and creating a framework to cluster similar-sounding artists, making discovery easier for consumers. Regardless of what the record label of the future looks like, this compilation goes to show that there's gold in them hills, so to speak. Think you have what it takes to spot talent on MySpace and other social networks? By following Adamson's lead, you might be able to turn your ears into a record label. UCLan's Northern Lights Business Support client, Invisiblegirl Records, has been rocking the international music industry courtesy of a compilation of worldwide music comprising of talented and creative artists, stretching from across the planet. 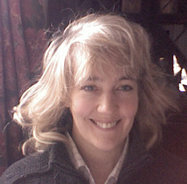 Julia Adamson, who runs the record label, identified an opportunity on Myspace, one of the world's most successful social network websites. 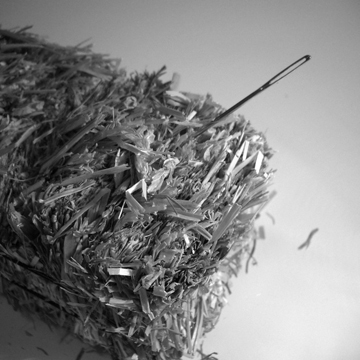 A near-mandatory tool for bands of all shapes, sizes and popularity, it was here that she searched through specific genres (including; electronica, experimental, ambient, new wave, punk, alternative, acoustic, classical, industrial and improvisational) of composers and musicians to discover 14 artists hailing from all corners of the globe. 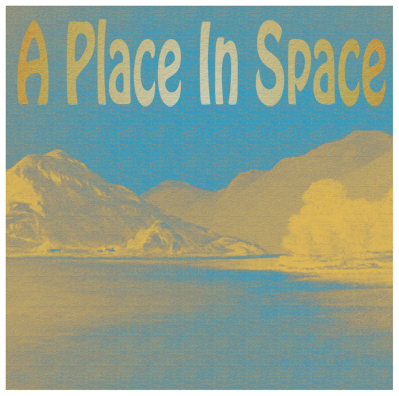 It was then that Julia released the A Place in Space compilation and made it available for download on iTunes and as MP3s, with the album itself having its own MySpace page where six songs can be previewed. An instant hit, her work has drawn national and international press coverage including Pune Mirror, a popular daily newspaper distributed throughout India. Commenting upon the success of her work, Julia said: 'After discovering the potential in this opportunity I never realised how time and labour intensive the album would be in terms of administration and dealing internationally. "Finding the artists was a pleasurable experience, as my love of music doesn't need encouraging. Administering the song registrations and asking the artists to join the relevant music agencies in their countries, conducting the research for this and communicating with many artists whose first language isn't English was the bigger job in hand, but I still wouldn't say it was taxing as they are all friendly people. 'To the many unsigned bands out there I hope this instils confidence and proves that scouts actually do utilise and trawl social network websites to find that outstanding piece of music. This compilation's success has been outstanding, so much so I am considering releasing a second compilation. Been listening to the sampler all over the break. Love it! Particularly in love with tracks 3 (elevation) , 9 (fiesta animal) (which, for me is the best, love it, love it) 11(ruchira) (got a lot of Indian stuff, like the treatment) and 13 (ramide). Overall: great. A v wide range of stuff here, which means that everyone should find something to like! I've been listening to it for the past few days and it's a very nice collection of material that is quite diverse although probably more focused on the electronic end of the spectrum. Except for the 3 fallnet/forum people, whose tracks are guitar-oriented. It's got a banging techno track on it and one made with kids electronic game units that's very nice indeed! Still playing the CD you gave me.... Must say the "thank you for being a friend" at the end is quite a diversion from the original (cant remember who did it though!? ).